Highlights of this year’s festival will include dozens of West Virginia craft vendors with handmade crafts and art, a 5K Possum Trot 5K Run/Walk, Strut Your Mutt Dog Show, horseshow tournament, the WV Biscuit bake-off and the famous (or infamous) WV RoadKill Cook-off. Music for this year’s event is straight from the heart of West Virginia featuring Mud Hole Control from 10 a.m. to noon, The Black Mountain Bluegrass Boys from noon to 2 pm and The Bing Brothers with Jake Krack from 2 to 4 pm. Come on down to the Pocahontas County Opera House Friday evening from 7 to 9 pm for the Rockin’ Redneck Square Dance. Called by Mack Samples with Mud Hole Control providing the music; this first-time event will feature cash prizes for costumes for both men and women. 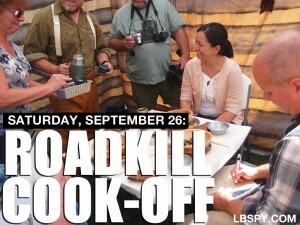 The festival is built around the wild game cook-off, animals you might find along the roadside. Prizes for the best recipes are: 1st place $1200.00; 2nd place $600.00, 3rd place $300.00. There are also cash prizes of $150 each for Showmanship and the People’s Choice. 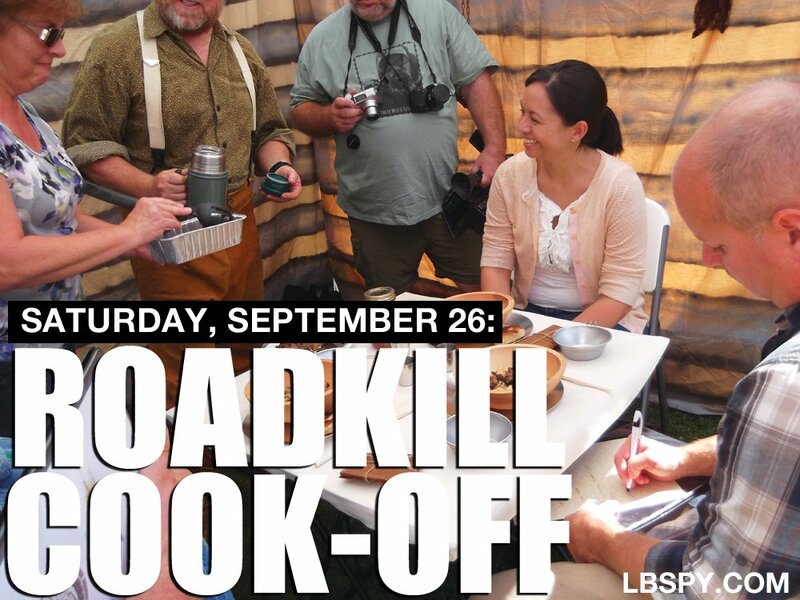 A $5 ticket allows you to taste each of the wild game entries. If your stomach doesn’t enjoy wild game, there’s dozens of booths which feature fair type food including walking tacos, kettle corn, hot dogs and hamburgers, fudge, pizza and much more. On Saturday bakers from around the region will compete for the blue ribbon and bragging rights to the best biscuits in West Virginia. Biscuits are a very common staple on the dinner table in the Appalachian Mountains. The bake-off features three categories: traditional, sweet, and savory. Biscuits are judged on appearance, taste and texture. – Gail Hyer. September 2015. Sat. April 5: Springing for a Cure EXPO! In the Spirit: Red Hot Summer Reds. by Ginger LaSalle.